If you still suffer with shaving rash, you need to read on. This is the 21st century, and shaving rash is now an affliction of the past. For those of you who clean shave with a quality razor, and have avoided the beard trend, a good shaving cream is an essential weapon in the fight against shaving rash. Backtracking, there are certain steps which need to be followed before we arrive at shaving cream application. Shave after showering: the warm water will soften beard hair, making for an easier ‘cut’. Scrub away: massage a face scrub into your beard either in the shower, or soon after. This will clear away dirt and dead skin for a smoother shave. Sharpen up: a sharp blade makes for easier ‘cutting’ of hair, resulting in less tug and pull. And therefore less irritation. Blade manufacturers claim a variety of shaves per blade, but you know yourself when your blade becomes a little blunt. Pre-shave: a good shaving cream should provide enough protection but for those of you with extra sensitive skin, apply a pre-shave oil beneath your shaving cream. Alternatively, opt for a shaving cream designed specifically for sensitive skin. Brush up: a badger-hair shaving brush will not only generate a rich lather (in your hand or a shaving bowl) but will also act similarly to a face scrub, raising hairs away from skin while clearing dirt and debris for a better shave. Firm but fair: Shave in the direction of hair, with firm but not overly aggressive strokes. Finish: rinse off any shaving cream residue with warm water. Then seal your pores with cold water. Follow up: dry off the skin, and apply a nourishing after shave balm to replace lost essentials and protect newly revealed skin. For those of you with sensitive skin, look for a shave cream with plenty of Glycerin. Lubricating Glycerin provides a protective foundation that allows your blade to glide over your face without causing nicks, cuts and shaving irritation. Also prioritise shaving creams with natural oils and ingredients such as jojoba and almond. They are better for your skin and body, and aren’t ‘oily’ – but protective and quickly evaporate or rinse away. If you’re still buying supermarket shaving cream brands, stop. It’s best to avoid them, as many include harmful ingredients. Parabens: linked to a variety of conditions including asthma and allergies. They are added into shaving creams to prevent bacteria growth, or maintain a sell by date. You don’t need them in a shaving cream, and we don’t need these penetrating our skin barrier. SLS: Sodium Lauryl Sulfate acts as a cleanser but also strips natural oils from the skin. We need to protect these natural oils as they hydrate and protect. SLES: used to reduce the side effects of petroleum-based products. However, SLES have been linked to serious side effects such as organ toxicity. Fragrance: yes, fragrance. It might make the product smell good but it’s a common irritant. It’s added to most skincare products, but we prefer fragrance free. Or a natural fragrance from an essential oil such as sandalwood, eucalyptus, lavender or rose. Use cologne after shaving (not on your neck, try your chest and back) for your daily fragrance hit. 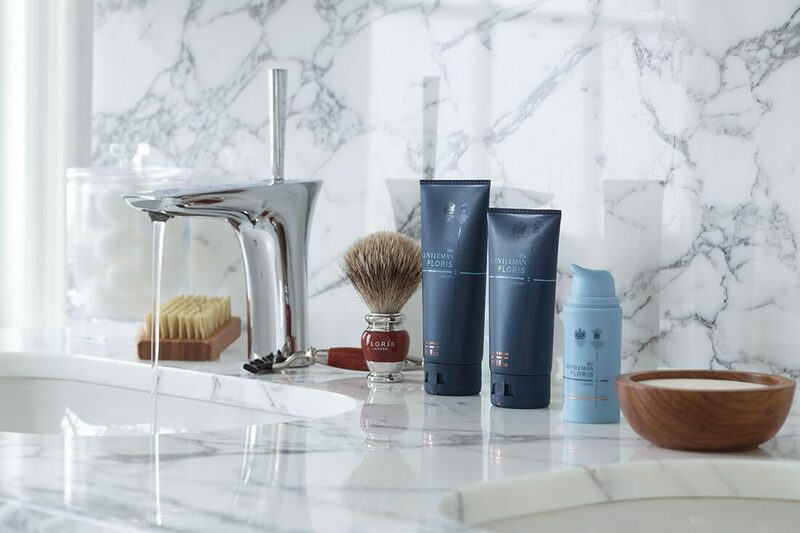 In numerical order of supremacy, this list – determined using customer feedback, popularity, innovation, ingredients, results, price and Ape to Gentleman’s testing – showcases the Top 7 Shaving Cream products the male grooming world has to offer. 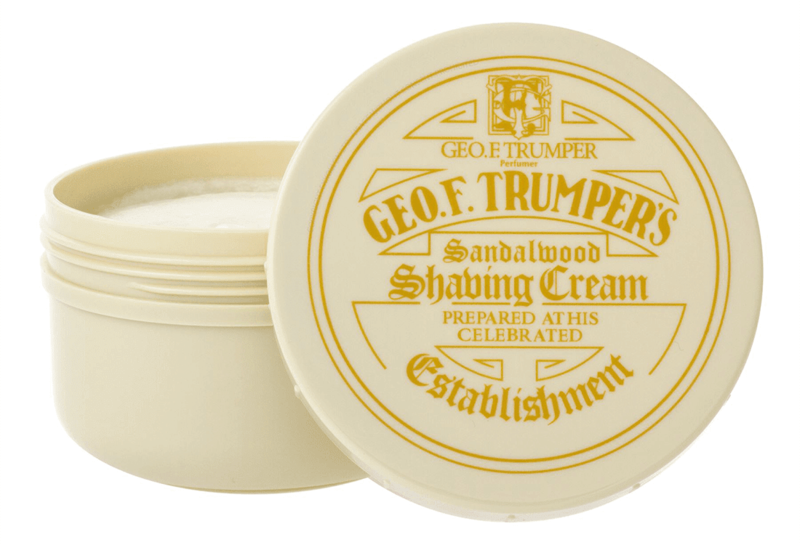 Established in the 1850s by George Trumper, British shaving brand Trumpers’ Shaving Cream is rich lathering, meaning a little goes a long way and it offers plenty of protection. 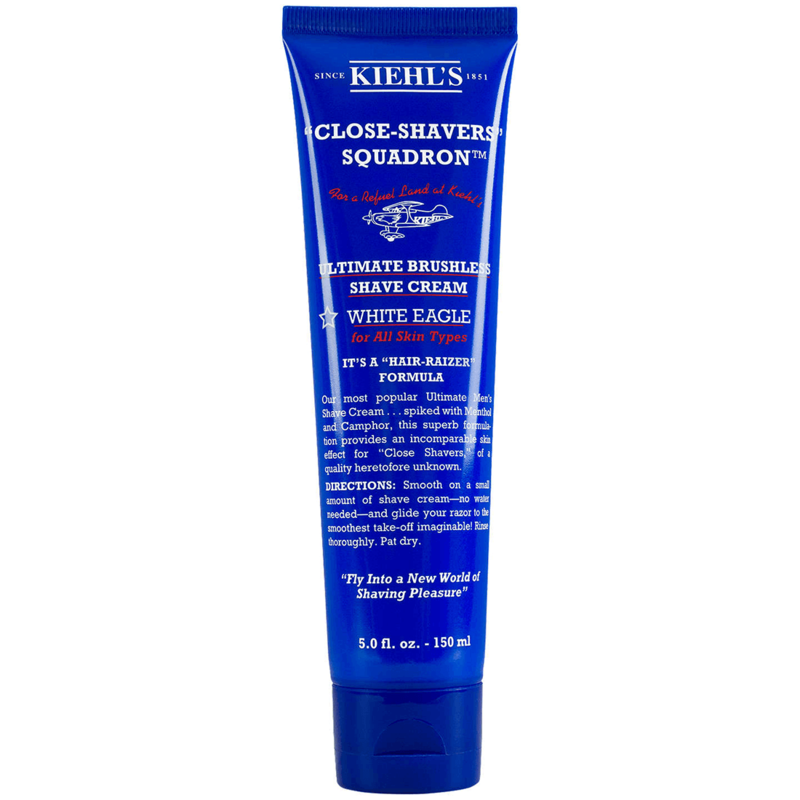 It contains Glycerin for effortless razor glide and is ideal for dry and sensitive skin. With a tried, tested and proven product spanning three centuries, who could argue that Trumpers isn’t the finest shaving cream on the planet? Our top choice is Sandalwood. A patented antioxidant-rich cleansing formula features a Beard Softening Complex and Mushroom Enzyme exfoliants to raise stubborn facial hairs and prepare skin for shaving. It feels cooling on application and prevents infection itself rather than relying on a post-shave product. 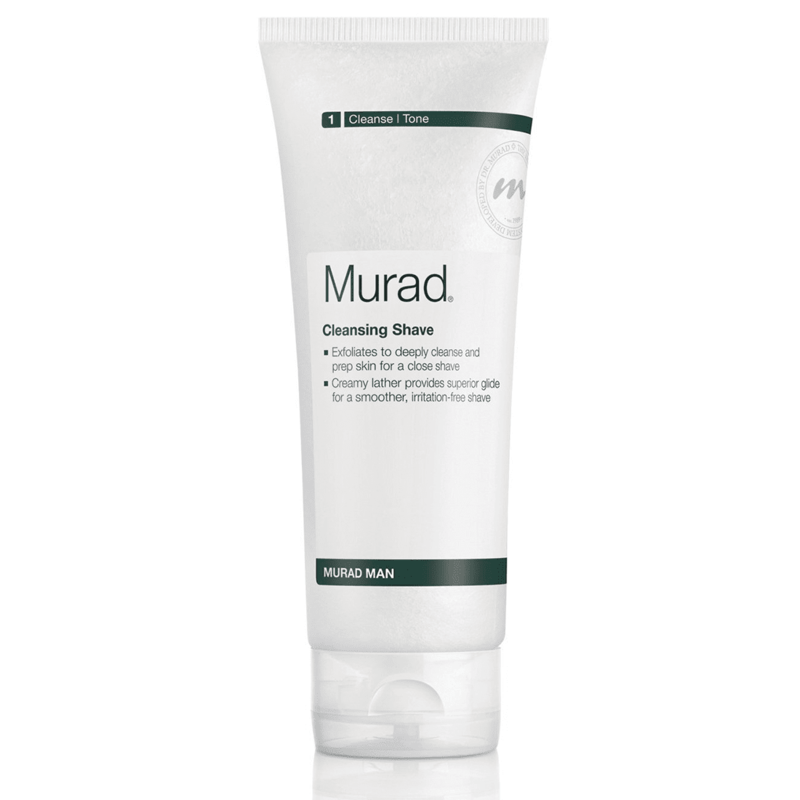 For those who suffer with razor bumps, Murad is a winner. A concentrated shaving cream; this rich formulation will not dry out the skin. The extracts of natural oils such as Eucalyptus, Clove and Vetiver means that the cream has a masculine, fresh scent. It is best used lathered with a brush to create a thick and creamy protective barrier for an irritation-free shave. Deserving of its Royal Warrant. A firm favourite across the board, The Art of Shaving’s Unscented Shaving Cream ticks every box: a fragrance- and alcohol-free, rich lathering formula with added essential oils for a protective shave and smooth results. Ideal for the super-sensitive shavers amongst you. 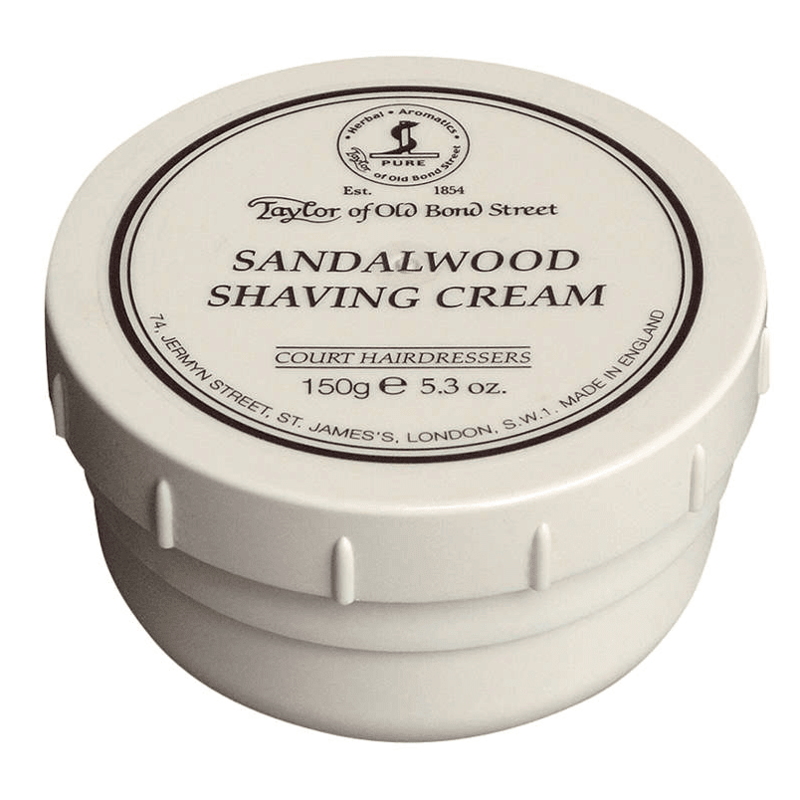 Taylor of Old Bond Street shaving creams are rich and luxurious creating a unique, smooth and creamy lather. Applied with a high-quality shaving brush, the cream will provide excellent protection for the skin, helping to prevent redness, irritation and ingrowing hairs. 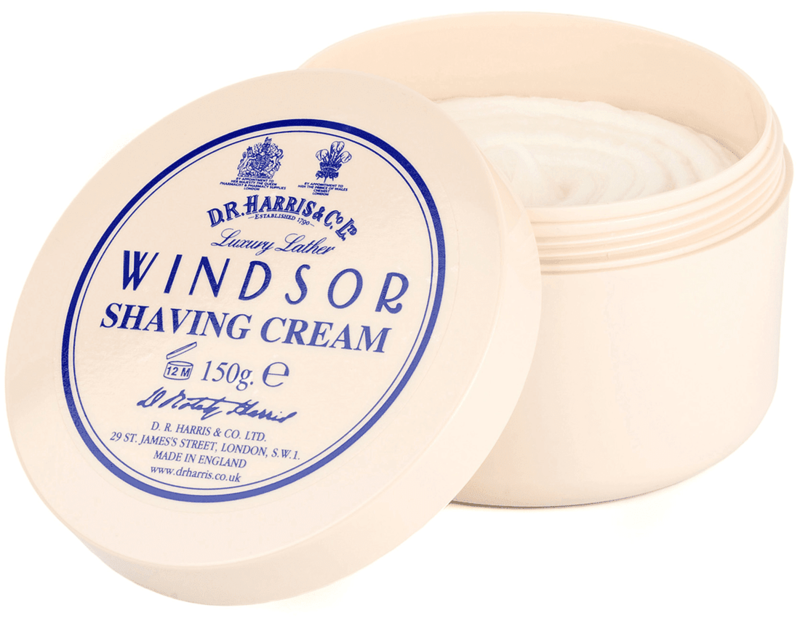 Made in England, this cream is an incredibly reasonable price for such a fantastic product. A veteran luxury skincare brand, producing a range of high-quality face washes and shower gels, Kiehl’s brings their 150 years knowledge in the industry to this Ultimate Brushless Shave Cream. Perfect for oily complexions, it incorporates Menthol and camphor cool alongside sesame seed oil, which absorbs easily into the skin to help combat irritation. The cream glides on, no brush needed, making it a quick and easy way to achieve a smooth and fresh shave. Your face will literally feel cool afterwards, it’s quite remarkable. Floris No.89 Conditioning Shaving Cream was first introduced in 1951 and has been a favourite with gents ever since. At 100ml, it’s ideal for travel, and a little goes a long way with this rich shaving cream. It lathers particularly well, and the aloe vera and chamomile employed within the formula ensures that skin stays soothed and comfortable throughout and after a shave.